It’s no surprise that the Edge has sold so well across North America over the past few years. 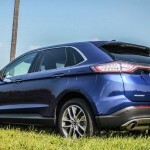 Whenever we test a new Ford product, we have now come to expect a certain caliber of automobile. Recently updated models from the blue oval contain cutting-edge technology, fresh designs, and interiors that stand out more than any of their domestic competitors. The Edge crossover was redesigned for the 2015 model year, featuring a new suite of powertrains, a modernized new look, and more technology than ever seen before in a Ford crossover. 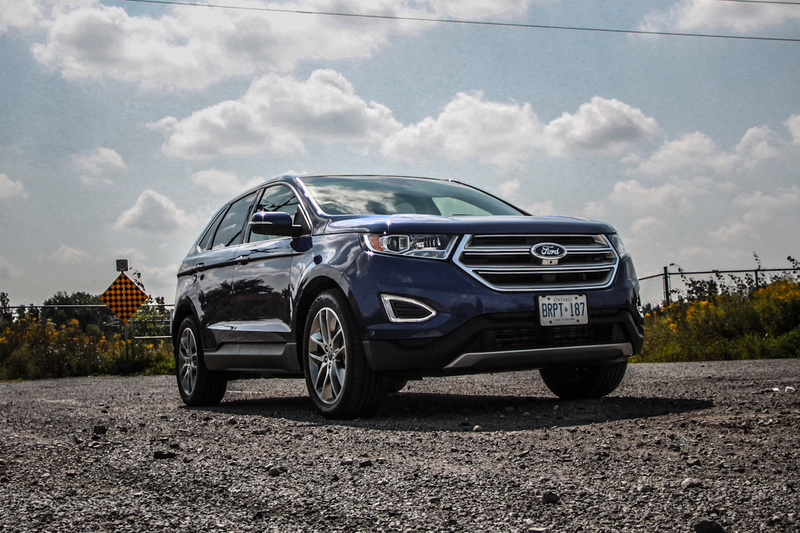 The 2015 Ford Edge Titanium I spent a week with is the most luxurious model in the Edge lineup – let’s find out how it stacks up. 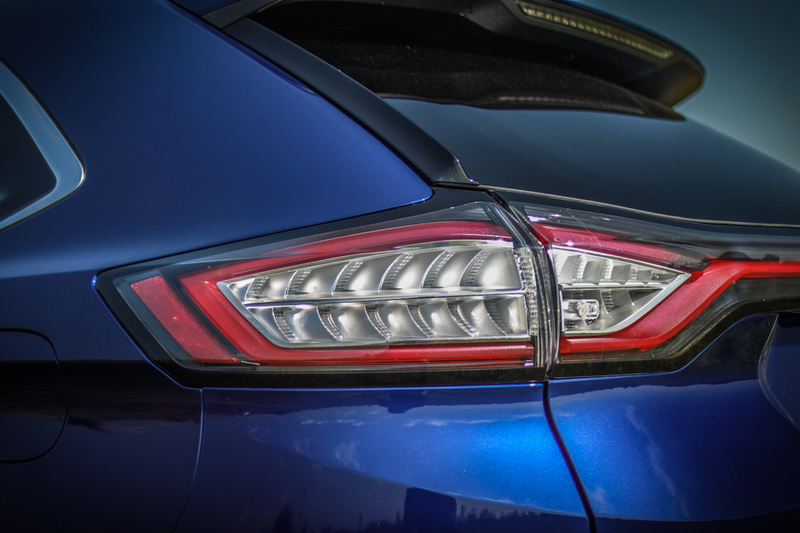 The Titanium model, despite its premium name, isn’t the top-trim Edge. 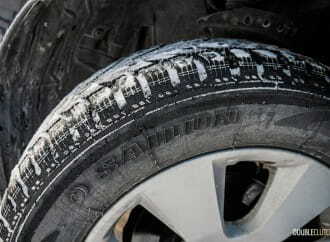 With a starting price of just $35,407, the Titanium is second in line to the zippy Edge Sport, which starts at $40,407. 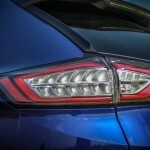 However, the Sport’s upgrades are under the hood, and in the sport-tuned suspension. 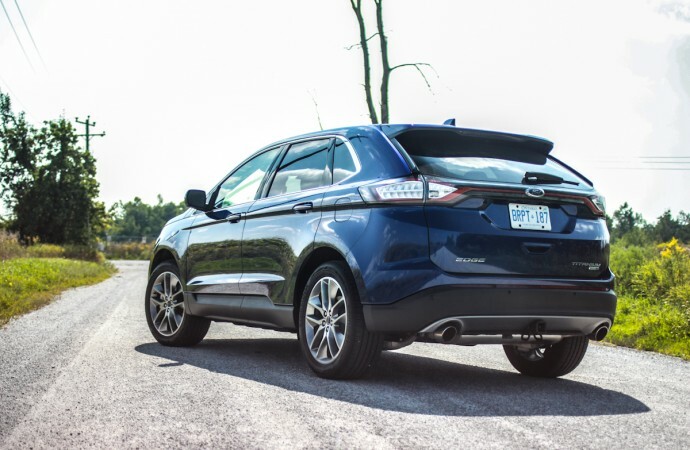 Our Titanium adds a considerable amount of luxury over lesser SE and SEL models, and after a week with it, I couldn’t imagine ever wanting to step up to the Lincoln MKX. 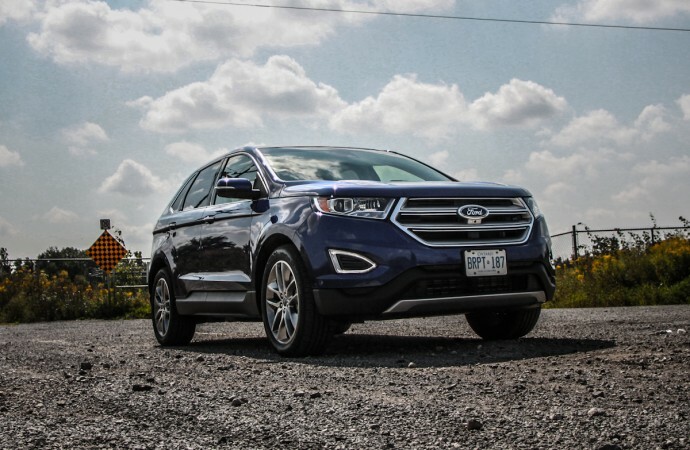 The new Edge’s styling is evolutionary but remains contemporary and true to the previous-generation model. 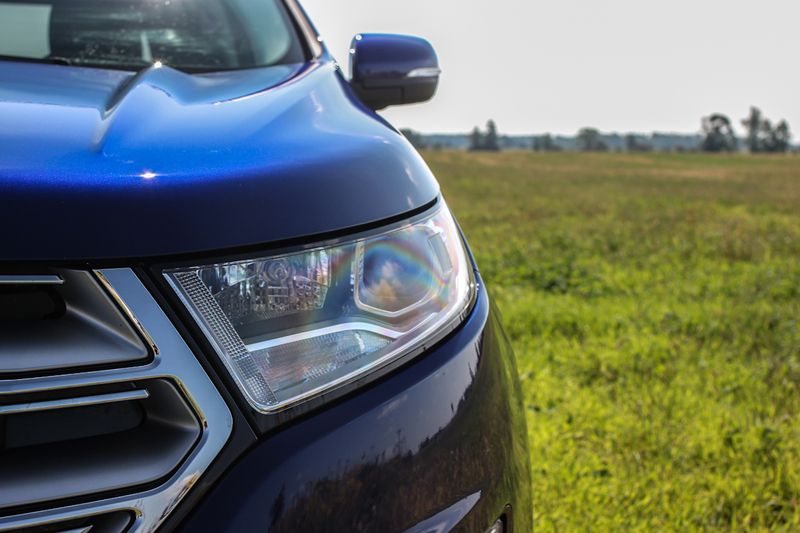 Lighting remains a highlight of the design on the new Edge – fresh shapes drawn using LEDs on the front bumper take the place of where fog lamps would be. 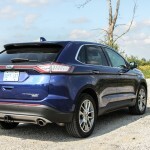 The taillight bar on the rear deck lid is elegant and reminiscent of the previous-generation MKX. 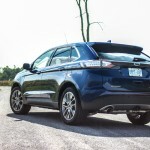 The new Edge is a little bit larger in all dimensions, but the overall proportions look less cartoon-esque than the outgoing car. 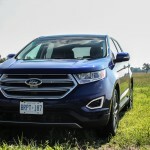 Despite the increase in dimensions, the new Edge is lighter by 23 kilograms. 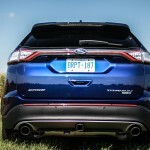 Ford has recently been making a transition from naturally aspirated engines to the turbocharged EcoBoost setup right across their lineup. 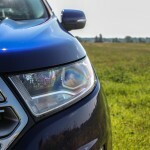 Even the monster Expedition and bestselling F-150 have foregone V8s in multiple trim levels in favour of boosted V6s. 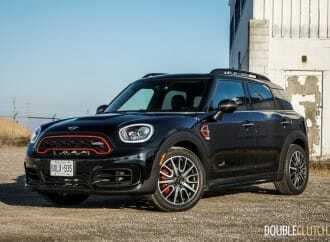 The Edge does offer a conventional naturally aspirated V6 in some trim levels, but the 2015 Titanium gets a 2.0L turbocharged 4-cylinder engine. 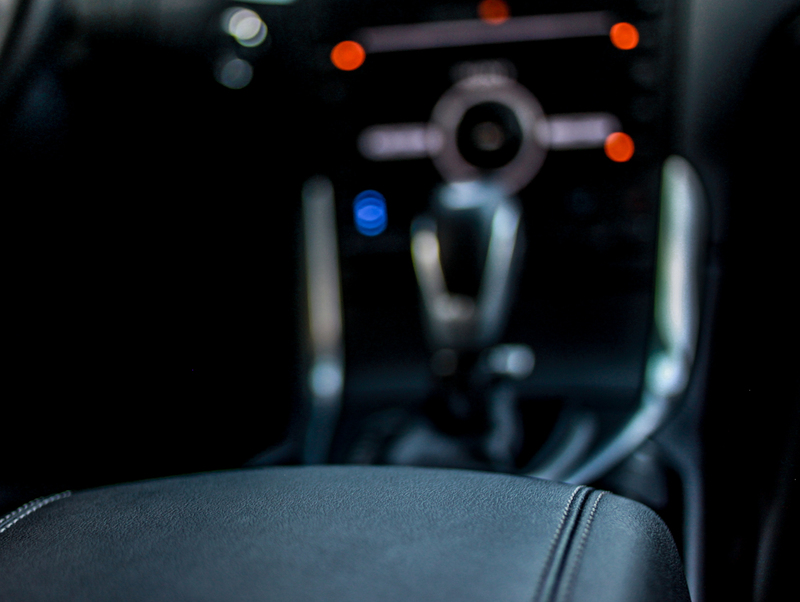 This EcoBoost four-pot is good for 245 horsepower at 5500rpm and 275 lb/ft of torque, peaking at 4,000rpm. It’s not the quickest motor around, but most Edge buyers value smooth power delivery and quietness over sheer performance. 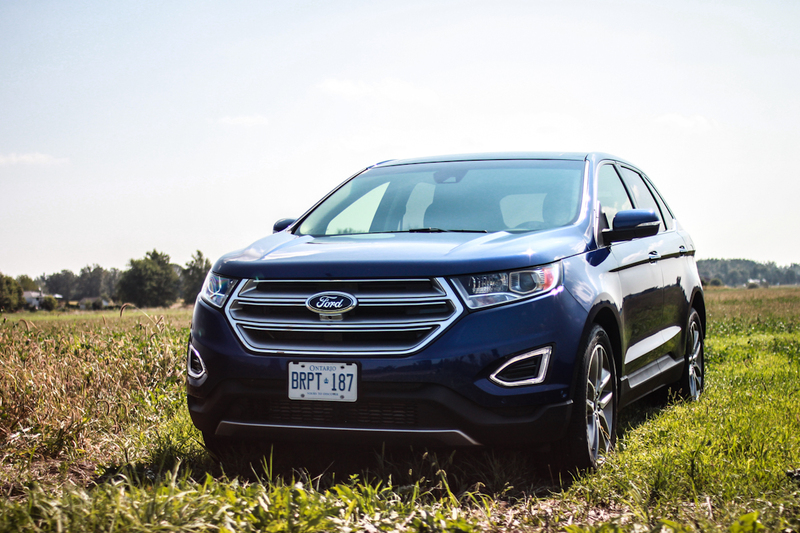 The EcoBoost delivers in both these regards – the result is one of the quietest new crossovers on the market. Not only is it quiet, it’s smooth. 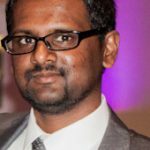 Even though the EcoBoosts of the recent past have been a bit coarse in their power delivery (the Mustang is a good example of this), the Edge’s four-cylinder does a great job of maximizing smoothness and an effortless driving experience. An interesting contrast with this performance is the very audible sound of turbocharger spool when you get on the throttle. 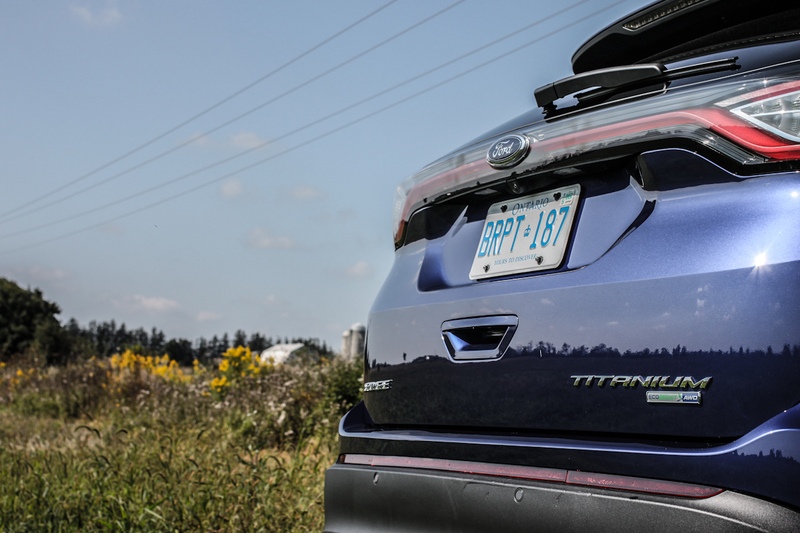 Overall response is on the numb side, but the Edge isn’t far off from any of its competitors – there isn’t a single crossover out there short of the Subaru Forester XT that feels sharper. 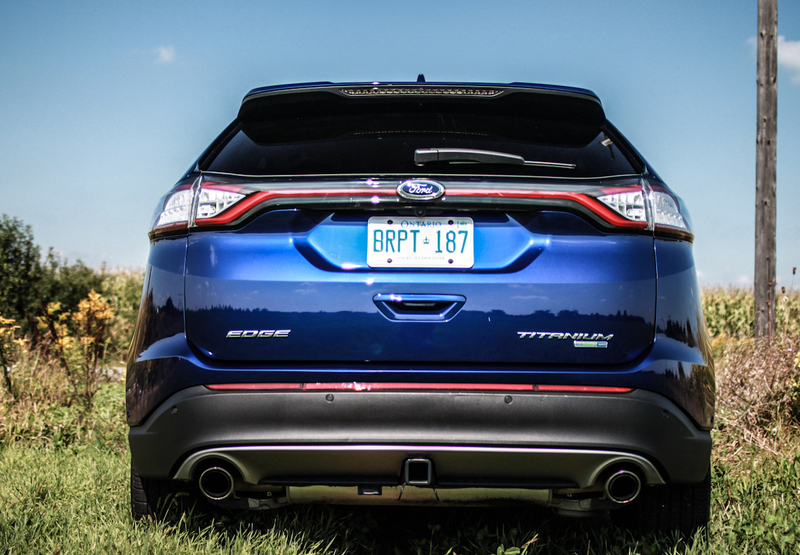 Titanium models are available in both front-wheel-drive and all-wheel-drive configurations, with both this EcoBoost four-cylinder as well as the traditional 3.5L V6. 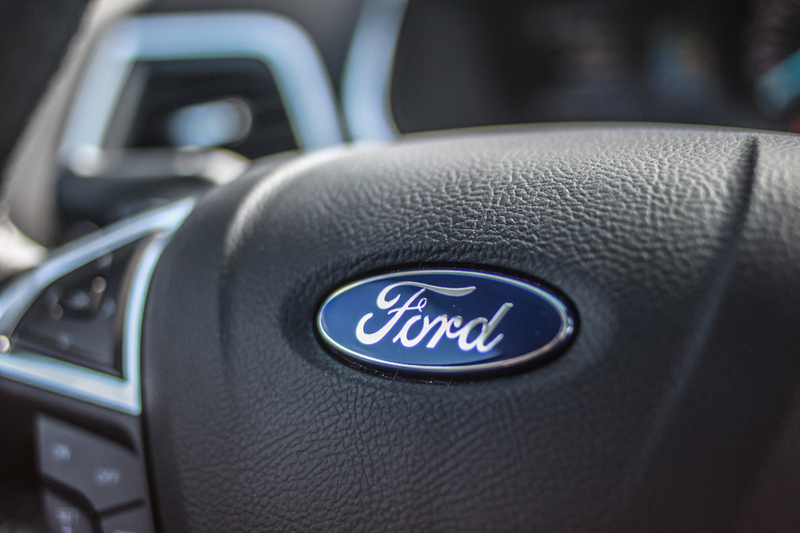 Though the V6 packs a little bit more horsepower and costs a few hundred dollars more, the EcoBoost is the one to go for. It’s torquier and has significantly better efficiency. 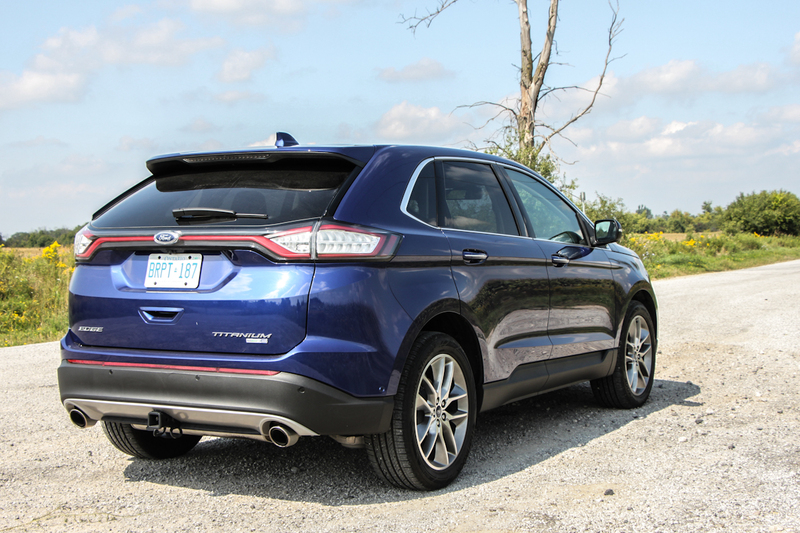 Handling is about a wash between these two motors, but the nod goes to the EcoBoost because it just feels significantly lighter on its feet. 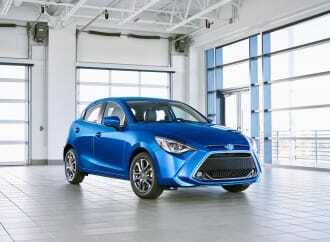 The electric power steering is good and helps rotate the Edge with ease. The turning circle is surprisingly small and thanks to this, the Edge is a breeze to use when zipping around urban cores. 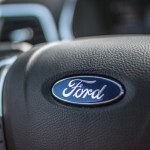 Ford advertises that this EcoBoost motor can get away with regular fuel, and from our deductions, that’s what it was filled with when it arrived in my garage for testing. 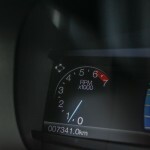 I went through the first tank doing a good mix between city and highway driving, and came out with 10.9L/100km. I filled the Edge up with premium 91-octane the second time around, and immediately noticed a drastic improvement in both performance and efficiency. 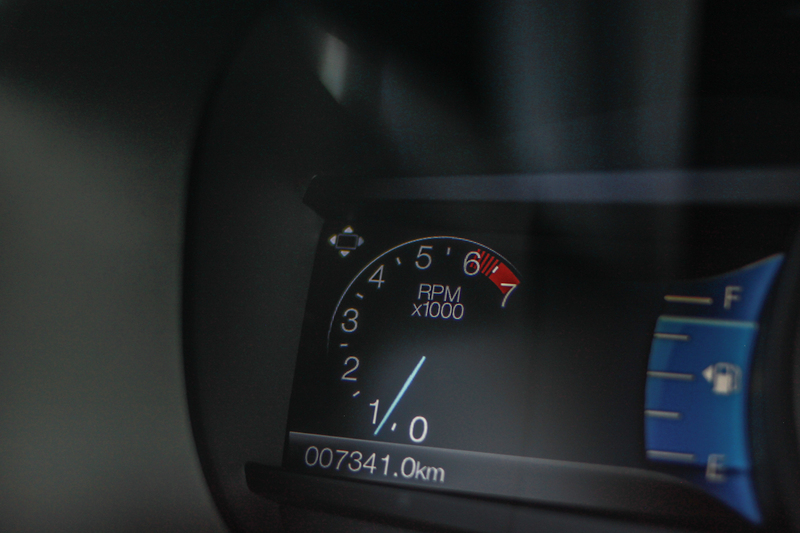 The average for the second tank was 9.8L/100km, and the Edge became even smoother than it was before. I’d recommend owners to splurge for the good stuff, the advantages are worth it. 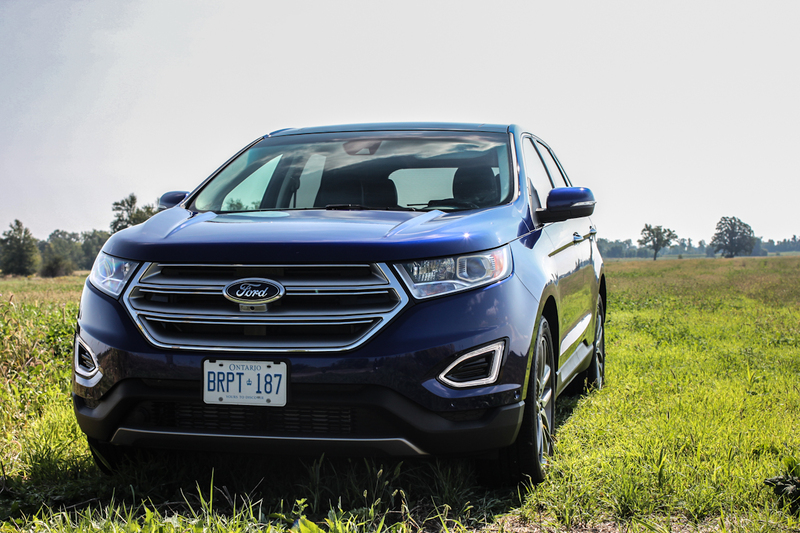 Adding onto the $37,187 price of a 2015 Edge Titanium with EcoBoost and AWD are a series of packages on our test vehicle. Ford charges $200 for the Deep Impact Blue paint scheme, which is a vibrant colour but not exactly worth the price premium in my eyes. 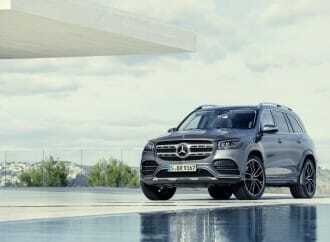 The Equipment Group 302A adds a blind spot monitoring system, remote start, heated steering wheel, lane departure warning, HID headlights, heated rear seats, heated/cooled front seats, enhanced park assist, inflatable seatbelts in the rear, a split-view front camera, and rain sensing wipers. 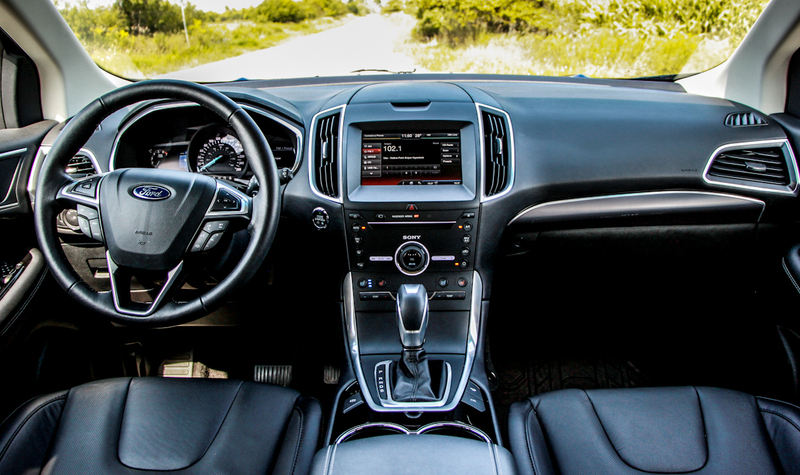 The Canadian Value Package adds a voice activated navigation system and a lovely panoramic sunroof. With all options, our healthily-optioned Titanium tester came to just over $45,000. 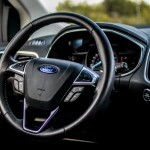 The sheer amount of tech on board the new Edge is astounding. 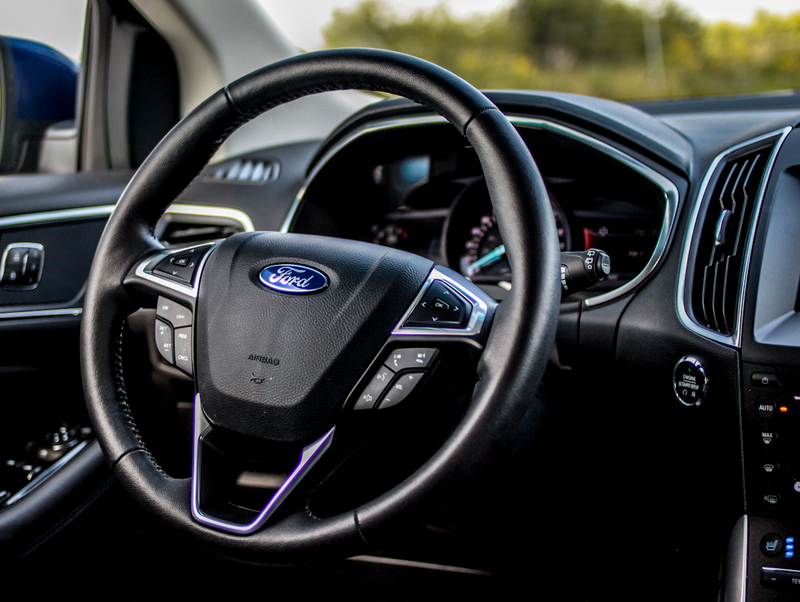 Ford’s Active Park Assist system is not only capable of parallel parking the car with no steering input from the driver, but it can actually reverse the car into a perpendicular parking spot using the same method. 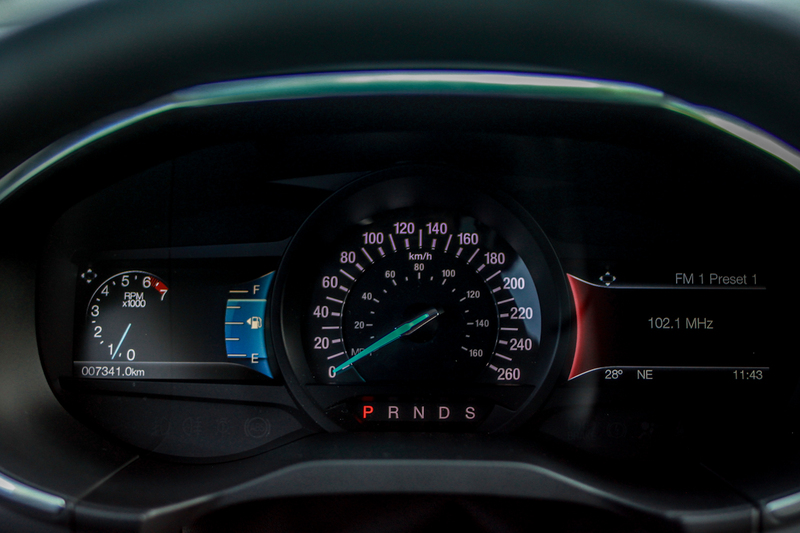 Additionally, the adaptive cruise control means the Edge can accelerate and brake on its own using radars even when sitting in heavy traffic, and the lane keeping assist system can steer the car back into the lane if it senses an unwanted departure. 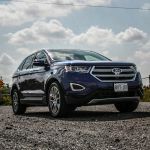 These features bring the Ford Edge as close to autonomous driving as modern technology has rendered us able – and this isn’t a Mercedes-Benz S-Class. 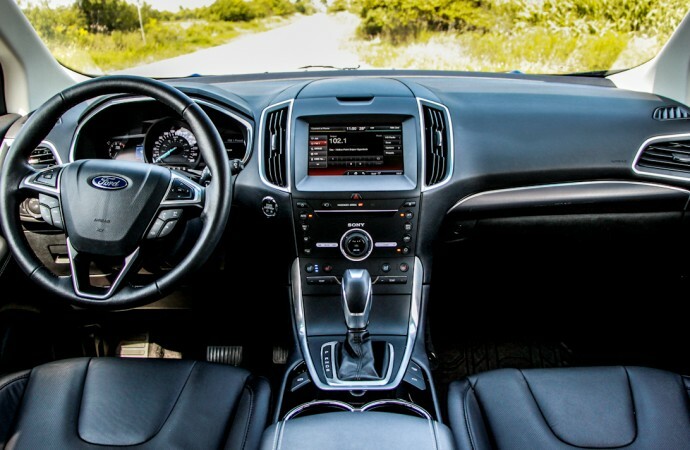 Infotainment is brought by Ford’s integrated MyFordTouch system. 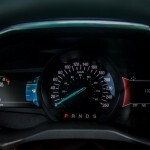 Now that we’ve previewed what’s in store for upcoming models, MyFordTouch immediately begins to show its age. The touchscreen is responsive enough, but I experienced the system freezing more than once during my test week, and some of the buttons are small and easy to miss. 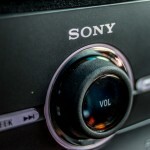 Voice recognition works decently well, but what I’m really looking forward to is the Siri EyesFree integration on the upcoming SYNC 3 system, expected to join the Edge lineup sometime next year. Bluetooth connectivity within MyFordTouch works decently enough, and there’s a huge compartment under the center stack to store mobile devices connected via USB as well. 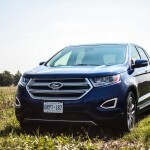 Competition for the Ford Edge is nonexistent yet fierce. The Edge isn’t a crossover as much as it’s a raised station wagon with all-wheel-drive. 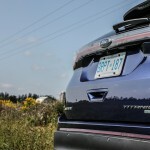 For example, the Toyota Venza is a very blatant competitor, but it’s short on luxury features and it has been announced as up for discontinuation soon. 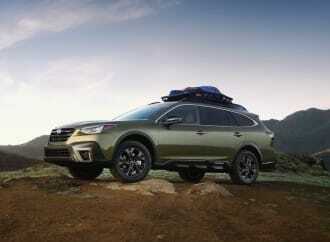 The Subaru Outback is a perfect contender, and excels with regards to driving dynamics but falls short with regards to premium feel. 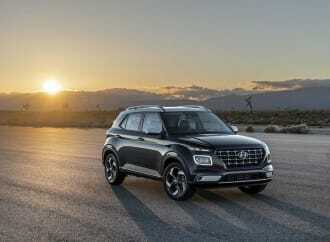 The current Hyundai Santa Fe Sport is a perfect rival because it drives well, is priced similarly, and offers similar levels of upscale options on its spec sheet. 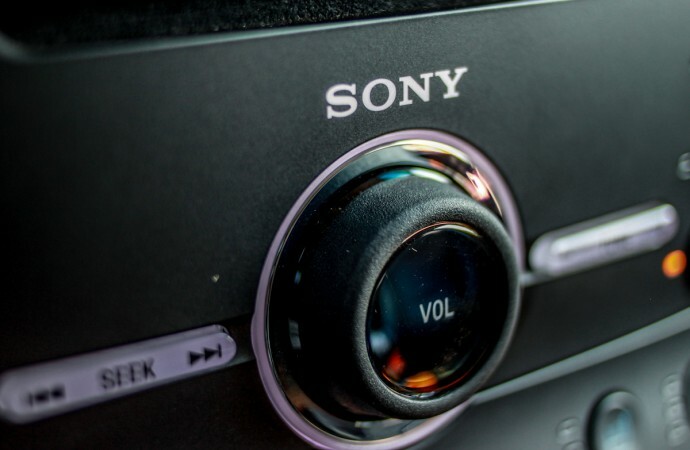 However, though premium features may be present, the Edge and its rivals lack the build quality available on true luxury vehicles, like the Lexus RX. 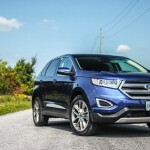 Ford has a hit on their hands – it’s no surprise that the Edge has sold so well across North America over the past few years. 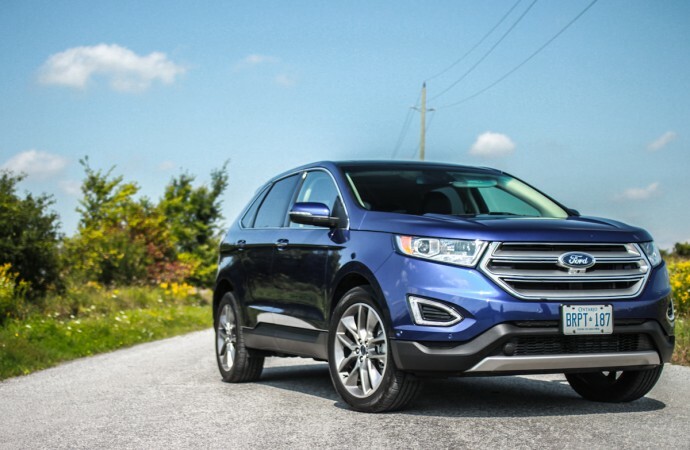 The 2015 Ford Edge Titanium offers the premium toys previously only seen in more expensive products, along with a trendy and chic vibe that few other crossovers are able to boast. With rivals like the Toyota Venza quickly disappearing, the Edge has a clear advantage to boost sales even further. 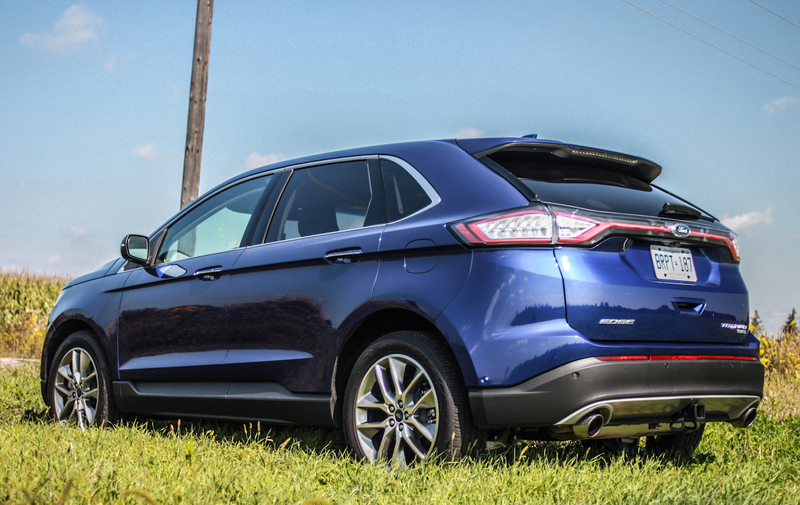 If you require the additional space of a crossover, but still want the style points that come with sedans like the Fusion, perhaps this is the vehicle for you.